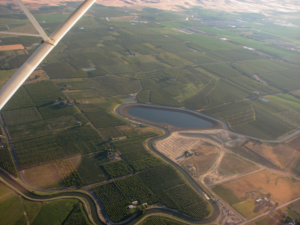 The Sunnyside Valley Irrigation District (SVID), located in Washington’s Yakima Valley, serves 14,000 primarily agricultural accounts. In 1977, the Washington State Department of Ecology filed an adjudication of the Yakima River basin to determine all existing surface water rights and their respective priority dates within the basin. After a decades-long process, the Superior Court of Yakima County has issued a conditional final order that confirms surface water rights in the Yakima basin. The final order is expected this year. In 2003, the Sunnyside Division Board of Control, of which SVID is the operating entity, the Washington State Department of Ecology, the Bureau of Reclamation, and the Yakama Nation reached a settlement over water rights in the Yakima River basin. 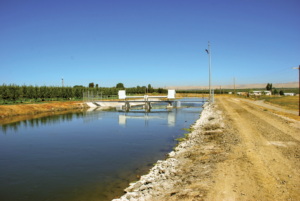 As a part of this adjudication, SVID committed to the Yakima River Basin Water Enhancement Project and embarked on a 40-year project to enhance its existing infrastructure and make it more efficient. 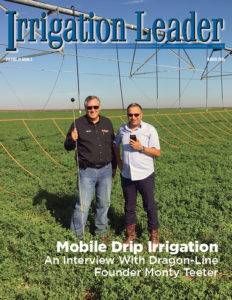 In this interview, Lori Brady, SVID’s general manager, speaks with Irrigation Leader's editor-in-chief, Kris Polly, about her district’s history and the challenges and promise of its ongoing water conservation project. Kris Polly: Please tell us about your background and how you came to be in your current position. Lori Brady: I graduated from Washington State University with a degree in civil engineering. I was hired to work in the engineering department in 1989, and I spent 16 years in engineering before being promoted to the administrative department. I was promoted by the board to the position of manager after Jim Trull passed away. Kris Polly: Please tell us about SVID and its history. Lori Brady: SVID is a 94,000-acre district with 75 employees. The district dates back to 1890s, when the Northern Pacific Railroad began construction of what is now known as the Sunnyside Canal. The district dates back almost 130 years. It’s mostly rural, agricultural land with small pockets of urbanization. The area produces a variety of crops, such as hops, grapes, and row crops, and also has dairy farms and orchards. Kris Polly: Has there been a significant shift in the way land has been used in your service area in the last couple of years? Lori Brady: Our farmers are modernizing like everybody else, but there hasn’t been a significant shift in our district from rural to urban. Kris Polly: How many people do you serve? Lori Brady: The district serves about 14,000 accounts. Kris Polly: What kind of infrastructure do you have in terms of storage and delivery? Lori Brady: We have a 60-mile main canal with three reregulating reservoirs ranging in size from 300 to 500 acre-feet. Our main canal is automated, with 30 automated check structures that use a supervisory control and data acquisition (SCADA) system. We’re able to sit at our desks and change the flow in our main canal with the push of a button, whereas in the past ditch riders in the field had to pull or add flashboards to lower or raise the water surface level in the canal. Kris Polly: What is the origin of the water you supply? Lori Brady: It comes from the Yakima River. Kris Polly: What are your top issues as a district right now? Lori Brady: One of the biggest issues is our aging infrastructure. We are in the process of a long-term water conservation project. The first phase began in 2003, when we automated the main canal and put in the three reregulating reservoirs and the automated check structures. Now we’re in the second phase of that conservation project, which involves installing enclosed laterals. Those are 5-year projects to turn open ditches into piped facilities with gravity pressure. 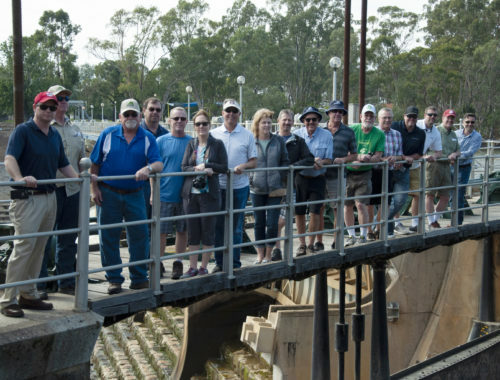 The landowners used to be served by concrete boxes with weir blades and orifices, which are now being replaced with flow meters for a modified on-demand system. The project will be completed in 2042. All phases of the conservation project are funded under the 1994 Yakima River Basin Water Enhancement Project. Kris Polly: Is that state funding? Lori Brady: It is 65 percent federally funded and 171⁄2 percent state funded. The district contributes the other 171⁄2 percent of the funding. Two- thirds of the conserved water is used for in-stream flow in the Yakima River. The other one-third is retained by the district. Kris Polly: Will the project involve hiring new staff? Lori Brady: No, we’ve been able to design and construct the projects with our existing engineering department and labor force. Kris Polly: What are the major causes of inefficiency or loss that you’re seeking to eliminate? Lori Brady: We always have a fair amount of seepage, evaporation, and spill. With conservation, we can reduce all those losses and improve efficiencies while promoting on-farm modernization. 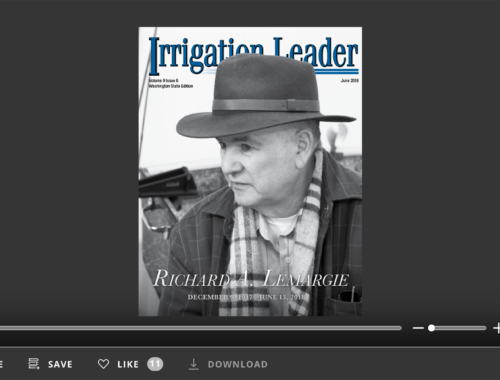 If we’re able to deliver water more efficiently, our landowners can use it more efficiently. Modernizing the district’s facilities promotes conservation on the farm itself. Another benefit to water conservation is water quality. 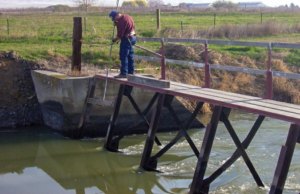 The water quality results the district has collected have shown a reduction in turbidity returning to the Yakima River by 75 percent as a result of conservation. Kris Polly: What kind of conservation are your farmers engaging in on their farms? Lori Brady: They use a wide variety of on-farm water-saving technologies, including solid-set, drip, and wheel- line systems. Kris Polly: How did you decide to start a conservation project with a nearly 40-year time span? Lori Brady: That was actually the late Jim Trull’s vision. The conservation plan was a result of the water rights settlement, which committed SVID to the Yakima River Basin Water Enhancement Project. 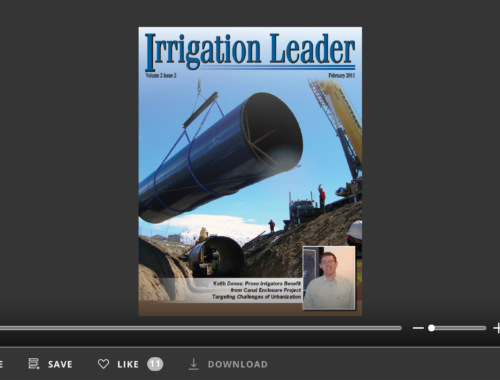 Kris Polly: As part of that project, are you working in conjunction with other irrigation districts in the area? Lori Brady: No, our partners are Reclamation and the Washington State Department of Ecology. Our working relationship with them has been good. We have had good communication and a good exchange of ideas, and it has been a smooth process. SVID has been building relationships since before my time as general manager. Jim Trull put all those connections in place and set a pattern for SVID that we’ve been following ever since. We’ve been doing it for such a long time now that everyone seems to know their role. Kris Polly: Does Sunnyside undertake any kind of public outreach programming? Lori Brady: We send out newsletters and encourage participation in landowner meetings, and we have public service announcements on the local TV stations. Kris Polly: How is your relationship with your account holders and with the public in general? Lori Brady: Our job is to deliver water as effectively and efficiently as possible, and we’re here to serve the landowners. Kris Polly: What is your vision for the future? Lori Brady: The district’s goal is to keep moving forward with conservation. There are many benefits to water conservation. The conserved water returns to the river for in-stream flow for fish passage during normal years and in drought years, which is good for the environment. Conservation also promotes on-farm modifications for conservation. In this area, food production is a multimillion-dollar industry, so conservation has positive economic and financial effects. Investing in water conservation is investing in the future. the Sunnyside Valley Irrigation District. She can be reached at bradyl@svid.org.